Boost your business’s appeal and get the products that are at the forefront of green standards with Agar’s range of Green Cleaning products. 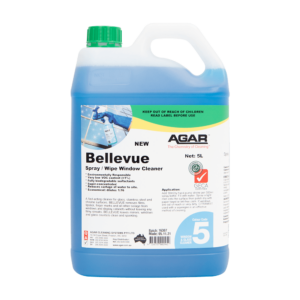 The high performance range ensures the same great results you expect from Agar’s traditional cleaning products plus the added benefits of green credentials. With seven products in the range licensed with Good Environmental Choice Australia (GECA), the ‘gold class’ of Australian eco-labelling programs, you can trust that you are getting truly green products, formulated to the highest standard available in the country.